B2C companies have been working with celebrities or “influencers” for decades. Their B2B counterparts however, have only begun experimenting over the past couple of years. Because influencer marketing is a relatively new concept for many B2B marketers, there are still a lot of questions about what it is, and if it really works. 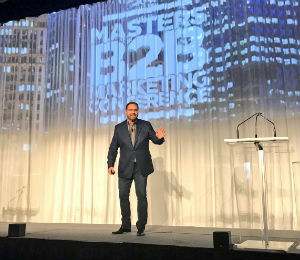 After appearing in Chicago for the 2017 Masters of B2B Marketing Conference, hosted by ANA in May, TopRank Marketing CEO, Lee Odden will be continuing the discussion on the topic of influencer marketing and the importance of influence in B2B marketing. 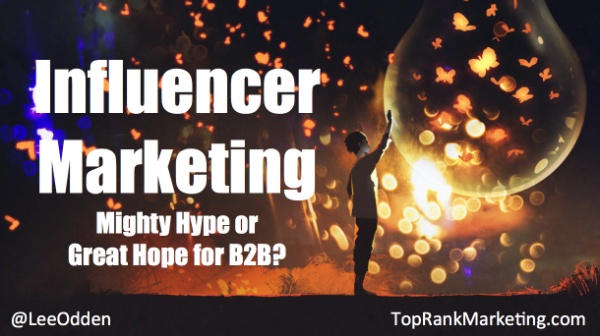 Title: Influencer Marketing: Hype or Hope for B2B? In this presentation you hear the results of recent research on enterprise influencer marketing from Altimeter, TopRank Marketing and Traackr outlining key trends, goals, budgets and best practices. 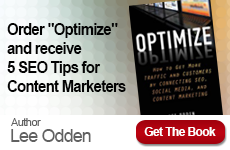 You will also hear how enterprise level B2B marketers like Dell, SAP and Oracle are incorporating broad and niche influencers to scale quality content that attracts, engages and converts more buyers. 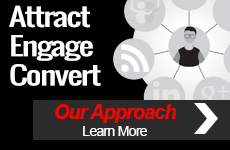 If you’re interested in learning more about how TopRank Marketing can help your brand launch an influencer content program, check out our services page.